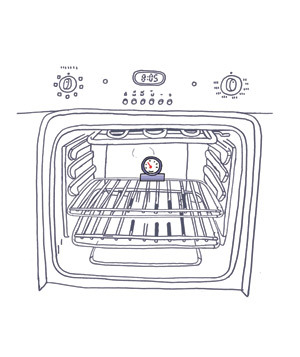 QUICK MEASUREMENTS GUIDE and YOUR OVEN | Cook, Party, Enjoy! 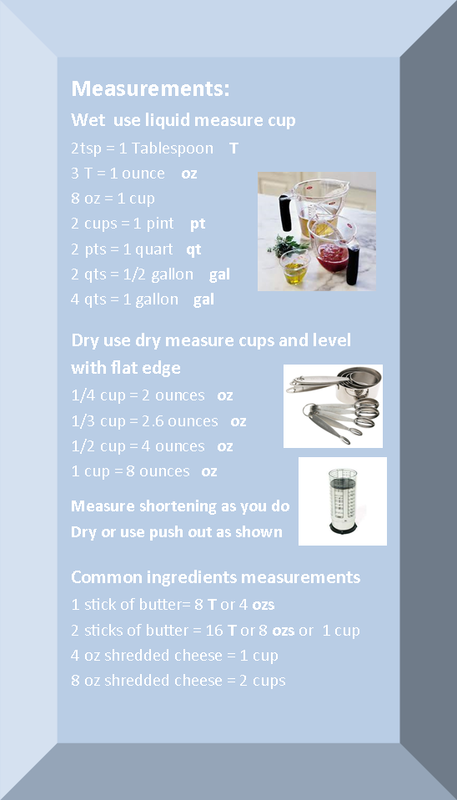 that when measuring dry ingredients it is important to use measuring cups for dry ingredients and for wet use a measuring cup for wet ingredients. There is a difference between liquid and dry measures. 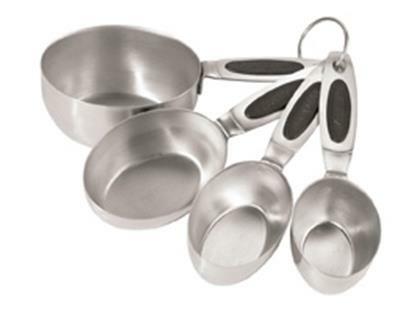 Use these measuring cups for dry ingredients. 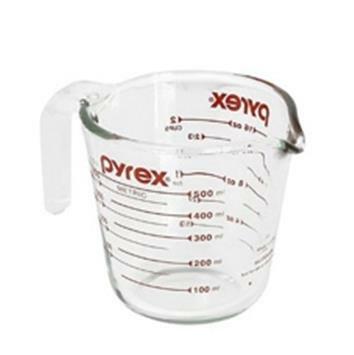 Wet Measuring cups are made to fill to a line. Use wet measuring cups for liquid ingredients. WHAT IF THE RECIPE CALLS FOR OUNCES? My general rule of thumb is if the recipe calls for ounces this is what I do: 4 ounces of a liquid, use a liquid measuring cup. If the recipe calls for 4 ounces of a dry ingredient, use your scale. Recipes will sometimes not give you a definite temperature but will state a kind of oven, like slow oven or Hot oven, below are the temperatures that are given to these oven descriptions. Very Slow Oven 250˚-275˚ F.
Very Hot Oven 450˚-475˚ F.
Extremely Hot Oven 500˚-525˚ F.
Check your oven’s temperature for accuracy. I would not stress if the difference was 10 to 25 degrees but more than that I would get my oven professionally checked. If the temperature is off and you decide not to have the oven calibrated but make adjustments yourself you will want to check it at each of the temperatures starting at 250˚ F. as it may be off more or less at the higher temperatures.